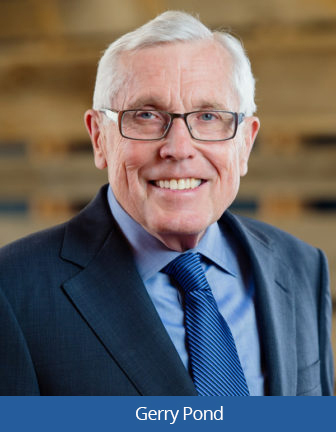 Mr. Gerry Pond will receive the EY Entrepreneur Of The Year™ Atlantic Lifetime Achievement award in recognition of his enduring contribution to Canadian business, philanthropic endeavours and outstanding leadership within the community and across Canada. Most recently appointed a Member of the Order of Canada, Mr. Pond was previously named the 2011 Canadian Angel of the Year; received the Canadian Red Cross Humanitarian award for New Brunswick; and was twice named by the Learning Partnership as a Champion of Public Education. He has received the Order of New Brunswick; the Wolf Blass Lifetime Achievement Award; and was named the first-ever Business Development Bank of Canada Entrepreneurship Champion. Born in Québec and raised in New Brunswick, Mr. Pond earned a degree from the University of New Brunswick and has attended management programs at Harvard University, McGill University and the University of Waterloo. He has also received an Honorary Doctor of Letters from the University of New Brunswick and Honorary Doctor of Commerce from Saint Mary’s University. As the Chairman and Co-Founder of Mariner Partners Inc., Mr. Pond has also co-founded a number of successful information and communications technology (ICT) businesses. He has become a cornerstone of entrepreneurial spirit through Propel ICT, the Pond-Deshpande Centre at the University of New Brunswick, and East Valley Ventures, all aimed at accelerating start-up companies. On the humanitarian side, Mr. Pond is a Director of the Upside Foundation and the Business Community Anti-Poverty Initiative (BCAPI) of Saint John. EY will present this prestigious award to Mr. Pond at the Atlantic Entrepreneur Of The Year awards gala in Moncton, New Brunswick on 5 October 2017. For more than 20 years, these awards have celebrated the achievements of our country’s brightest innovators. EY Entrepreneur Of The Year™ is the world’s most prestigious business awards program for entrepreneurs. The program makes a difference through the way it encourages entrepreneurial activity among those with potential and recognizes the contribution of people who inspire others with their vision, leadership and achievement. As the first and only truly global awards program of its kind, Entrepreneur Of The Year celebrates those who are building and leading successful, growing and dynamic businesses, recognizing them through regional, national and global awards programs in more than 145 cities in more than 60 countries. The 2017 Atlantic independent judging panel consists of Dr. Kenneth A. (Sandy) Maclver, Director, Ron Joyce Centre for Business Studies, Mount Allison University; Ben Cowan-Dewar, Managing Director, Cabot Links; Robyn Eddy, President, Eddy Group Ltd.; Douglas Hall, Director, Pattern Energy Group Inc.; Sharon Sparkes, Senior Vice President & CFO, Newfoundland Liquor Corp.; Jackie McIntyre, President and CEO, Cows Inc.; and Toon Nagtegaal, Founder & Owner, THENEXTPHASE. This year’s program national sponsors are TEC Canada, La Presse, RDI, The TMX Group, The Globe and Mail Inc., Merrill Corporation, Kira Talent, Air Canada, SheEO, The Printing House Limited and Hillberg & Berk. Atlantic regional sponsors are McInnes Cooper and Atlantic Business Magazine. From EY, for more information visit ey.com/ca/eoy. Mariner Partners is known for building technology companies with themes of big data applications, software innovation, commitment to customer success and international growth markets. We serve global customers ranging from the world’s largest TV and broadband Internet companies, to leading financial and real estate firms and governments with complex IT requirements.